Borer is a topic about which Earthwood is frequently asked. In most cases borer-damaged timber is old and has been infested for quite a while before it reaches the stage of having become a problem. Borer beetles only chew through sap timber, or very soft timbers. 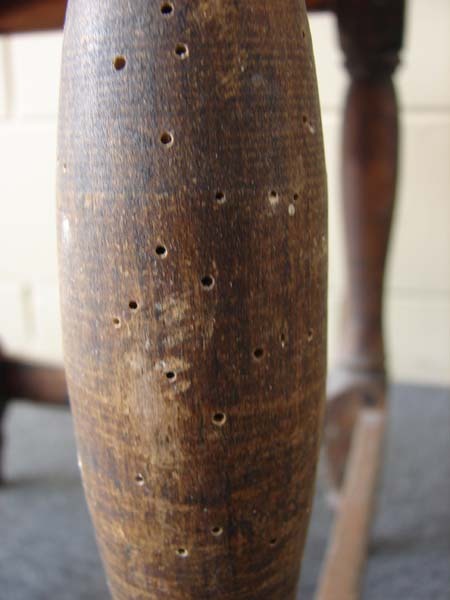 The adult Borer beetles emerge after two to three years of burrowing as larvae through timber. 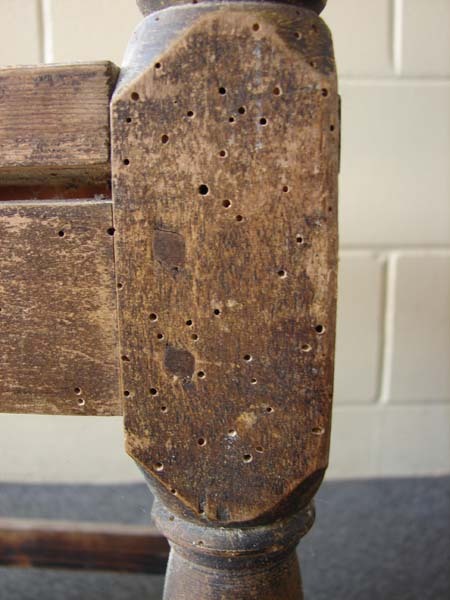 When a customer brings in a piece of oak furniture and says it has borer, we find it appears in the whiter sap timber. That’s generally a small area with oak. Sap lines are readily distinguished by the borer’s behaviour i.e. the location at which it has decided it’s not possible to eat solid oak. It’s like an invisible fence line! You have several choices in the management of borer. We recommend using a professional pest control company. Other methods include the purchase of Borer Stopper from a hardware outlet. It comes in a spray can with a fine nozzle and the idea is to spray the holes full with borer stopper. We’re not too certain of the efficacy of this method. Many people swear by a kerosene soak. Brush your affected timber with a paintbrush dipped in kersosene. Be liberal with it because it needs to soak into the timber. Another successful but time consuming method is to store the furniture in a closed room between October and February. When the adult beetles emerge they fly straight to the windows for freedom. Keep the windows closed and spray the room periodically to kill the adults off. 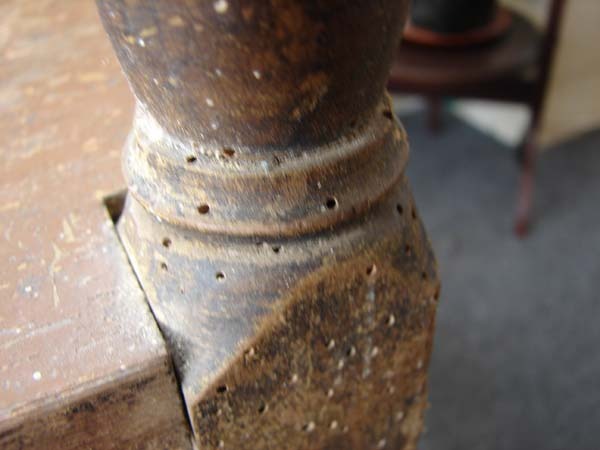 Their aim in exiting their long time home is to mate during summer and then re-infest the woodwork, but this way they cannot complete the cycle. In some cases, it just makes better sense, and is even necessary to remove infected timber and replace with new. We commonly need to do this on the insides of drawer panels, since plywood seems to be the equivalent of ice-cream to borer. 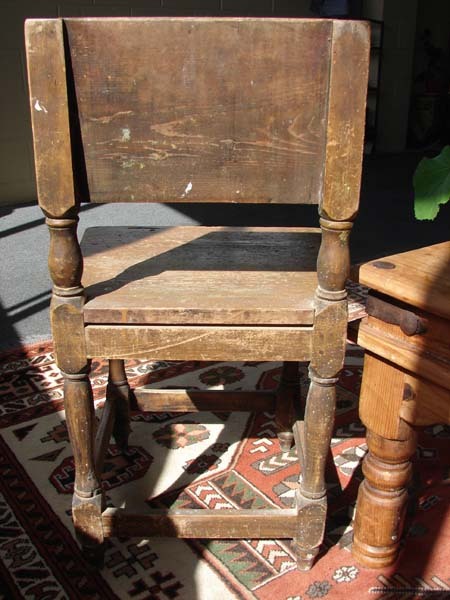 We frequently need to replace also the back panels of older cabinets made from Kaihikatea or sap Rimu and other softer timbers. If you’re not sure whether you should try one of the above methods, or replace the sections, contact us and we’ll likely be able to tell you.